The family of a 35-year-old Jacksonville man killed in a hit-and-run says their hearts are heavy as the suspect is still out there. Action News Jax first told you about the deadly-hit-and-run on Main Street at Kirk Road on Sunday. Action News Jax reporter Courtney Cole spoke to the victim's family members, who say he was looking forward to starting a new job Monday. "My last words to him were, 'I love you Uncle Ricky. Be careful,'” said Dylan Baumgardner. Baumgardner was the last person to see his uncle, Richard Allen Wilson Jr., alive. The 17-year-old said his uncle came over Friday afternoon to visit him after he got out of school. “He's one of my favorite uncles. We did a lot together. 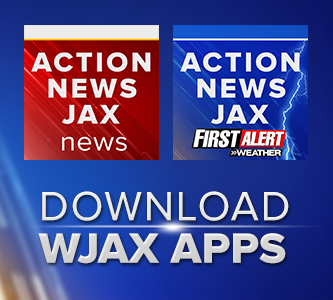 We have a lot of memories and stuff,” Baumgardner told Action News Jax. Later that night, the 35-year-old was walking along Main Street at Kirk Road when he was struck by a dark blue 2014 Ford F-150. FHP told Cole police have impounded the truck, hoping to preserve any evidence that might lead them to a suspect. "We're going to miss him and we miss him badly now,” said Wilson’s aunt Diane Byrd. Byrd said Wislon didn't have a car -- so walking or using his bicycle was how he got around. "He was going to start a job. I gave him the money to buy another pair of boots,” said Byrd. investigators will be looking for any evidence that could have been left behind on an airbag, the steering wheel or even the truck's seat. If the person is caught and convicted they face a minimum of four years in prison.